Hiatal Hernia Repair is a procedure indicated for the treatment of objectively documented, relatively severe, gastroesophageal reflux disease (GERD). What is Hiatal Hernia Repair surgical procedure? A hiatus hernia or hiatal hernia is the protrusion (or herniation) of the upper part of the stomach into the thorax, through a tear or weakness in the diaphragm. Hiatal Hernia Repair is a procedure indicated for the treatment of objectively documented, relatively severe, gastroesophageal reflux disease (GERD). This surgical procedure, also known as Anti-Reflux Surgery, is a consideration in chronic, long-term management of GERD. Why is the Hiatal Hernia Repair surgical procedure Performed? Gastroesophageal reflux disease (GERD) is initially treated with lifestyle changes, including a weight loss plan, reducing or eliminating smoking and alcohol consumption, altering one’s eating and sleeping patterns, etc. Surgical treatment should be considered in those individuals, who have failed medical management or developed complications of GERD. What is the Cost of performing the Hiatal Hernia Repair surgical procedure? The cost of Hiatal Hernia Repair surgical procedure depends on a variety of factors, such as the type of your health insurance, annual deductibles, co-pay requirements, out-of-network and in-network of your healthcare providers and healthcare facilities. 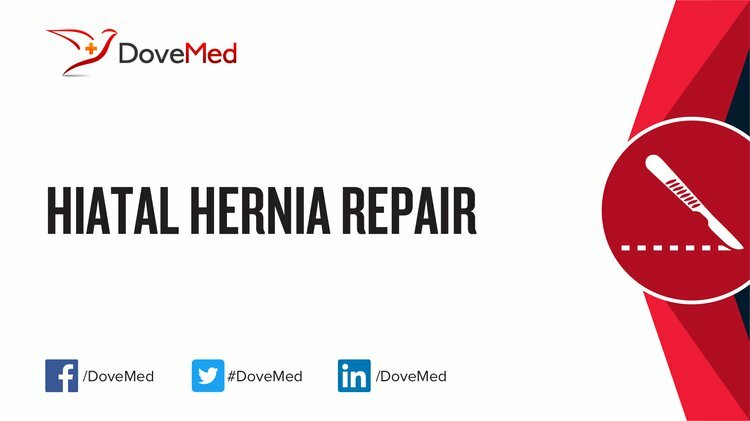 How is the Hiatal Hernia Repair surgical procedure Performed? The surgical procedure used is called Hiatal Hernia Repair with Fundoplication. Generally, Nissen Fundoplication is the most common type of fundoplication performed. Laparoscopic approach: Laparoscopic approach is now, the commonly performed surgical treatment for this condition. The Hiatal Hernia Repair procedure is performed in a hospital. The patient is admitted, undergoes the procedure and is discharged, as per the instruction of the physician. The Hiatal Hernia Repair procedure is performed by a surgeon trained in general surgery, with assistance from an anesthesiologist. The time for Repair of Hiatal Hernia procedure may take anywhere between 2-4 hours. Normally local anesthesia is not used; however, do inform the physician, if you are allergic to any local anesthetics, lidocaine, etc. A physician will request your consent for Hiatal Hernia Repair procedure using an Informed Consent Form. What Tests are needed, before the Hiatal Hernia Repair surgical procedure? What is a Hiatal Hernia Repair procedure? General anesthesia is administered during the Hiatal Hernia Repair procedure. The amount of blood loss is generally minimal (especially when the procedure is performed laparoscopically), but if complications arise during the Hiatal Hernia Repair procedure, it could lead to a further loss of blood. What are the possible Risks and Complications during the Hiatal Hernia Repair surgical procedure? What Post-Operative Care is needed at the Healthcare Facility after the Hiatal Hernia Repair surgical procedure? 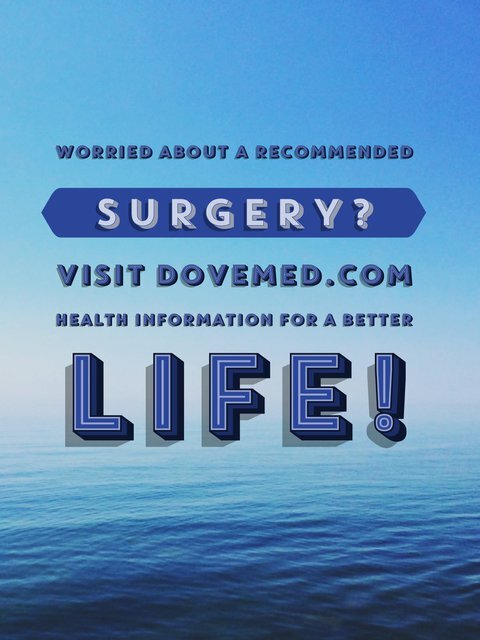 What are the possible Risks and Complications after the Hiatal Hernia Repair surgical procedure? What Post-Operative Care is needed at Home after the Hiatal Hernia Repair surgical procedure? It may take anywhere between 4 to 6 weeks, to recover completely from the Hiatal Hernia Repair procedure. Who will you receive a Bill from, after the Hiatal Hernia Repair surgical procedure? Individuals are advised to inquire and confirm the type of billing, before the Repair of Hiatal Hernia surgical procedure is performed.